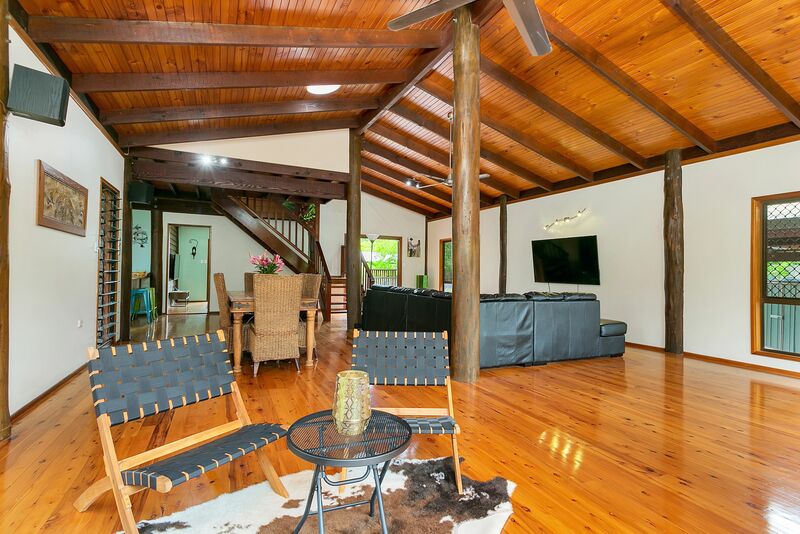 Call Agent - Superb Timber Design, Perfect Location! 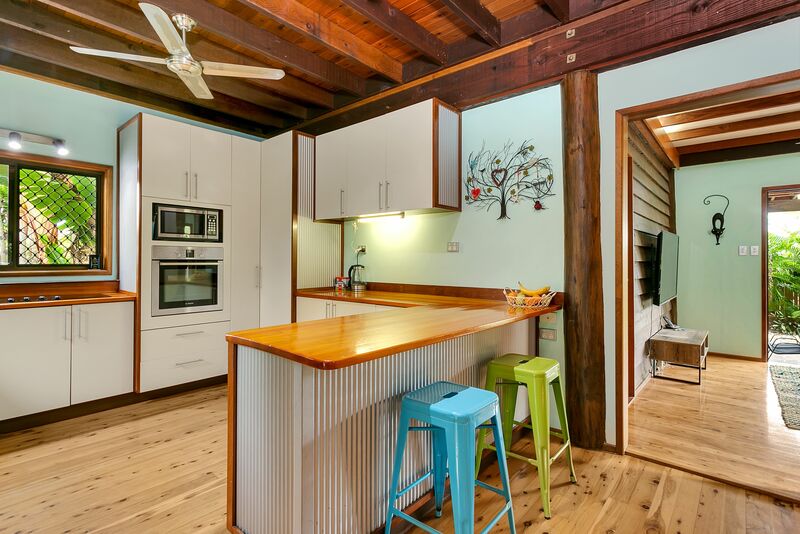 Superb Timber Design, Perfect Location! 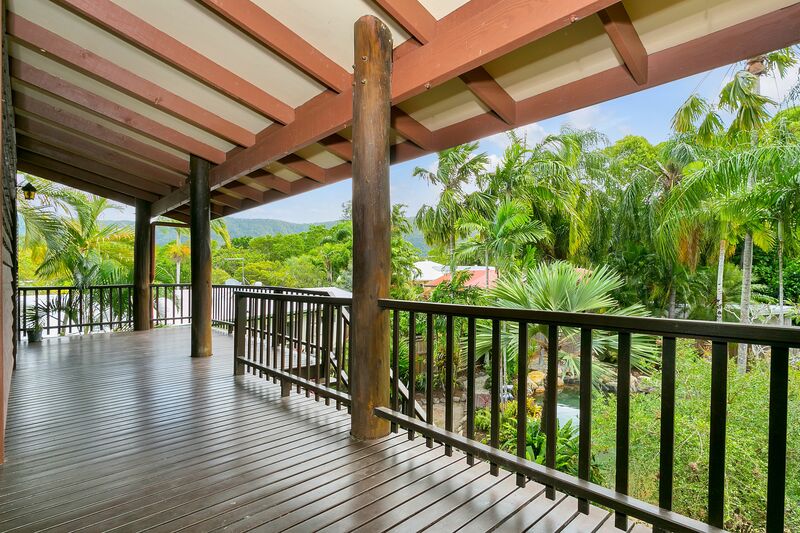 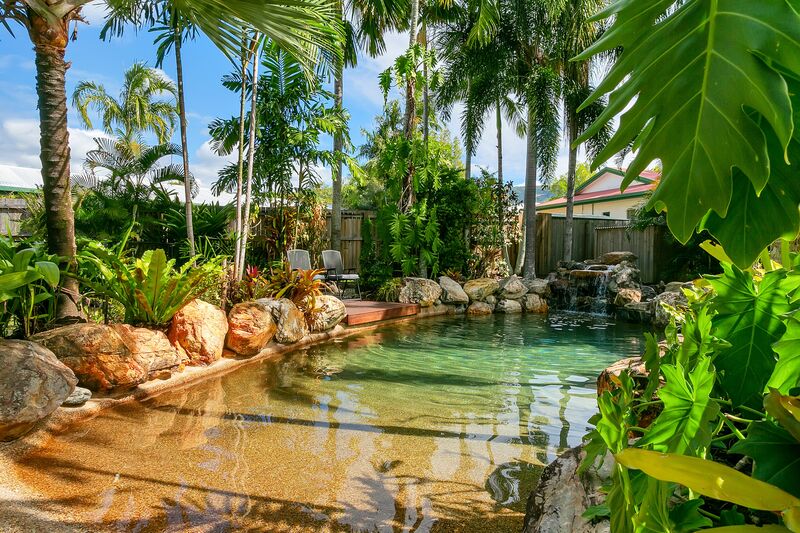 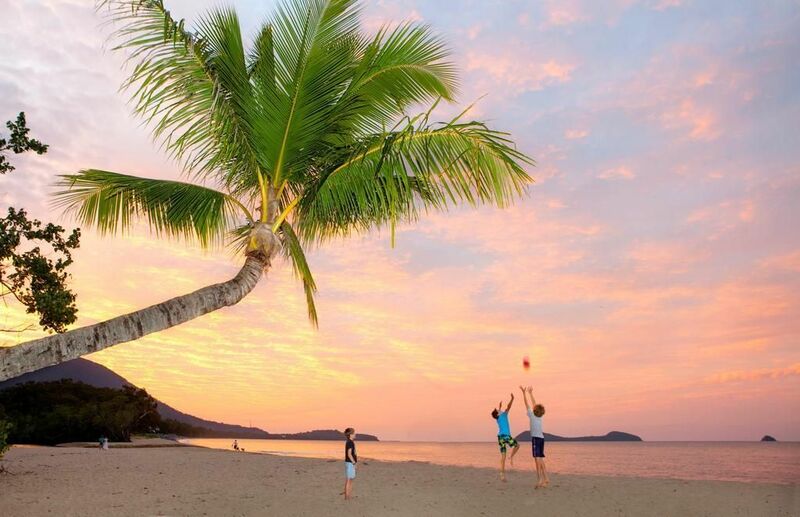 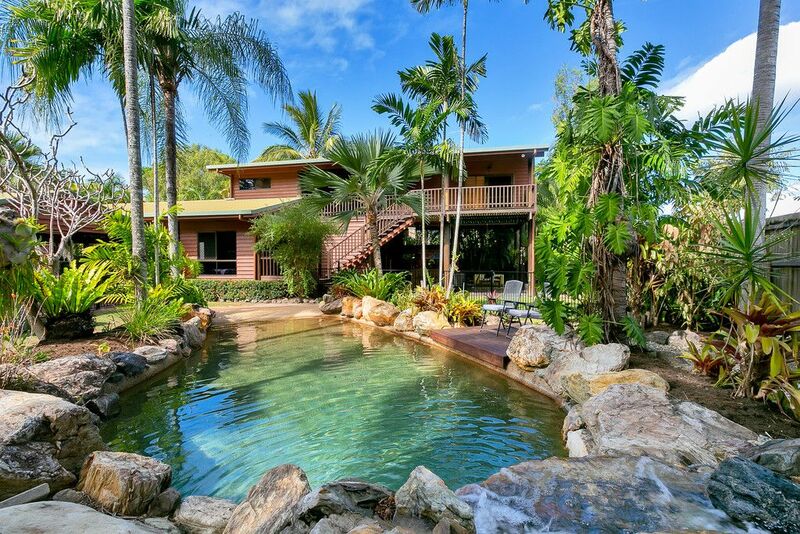 Embellishing the ultimate Far North Qld lifestyle you will be impressed by the serene and natural characteristics this property offers. 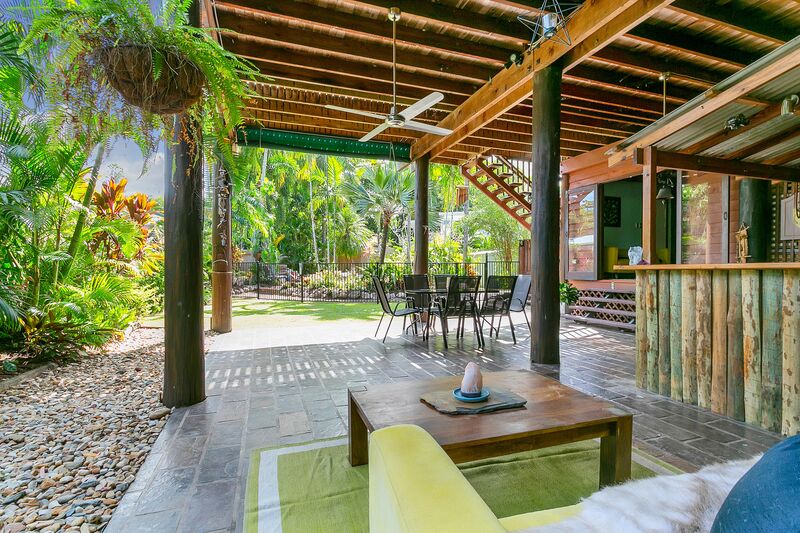 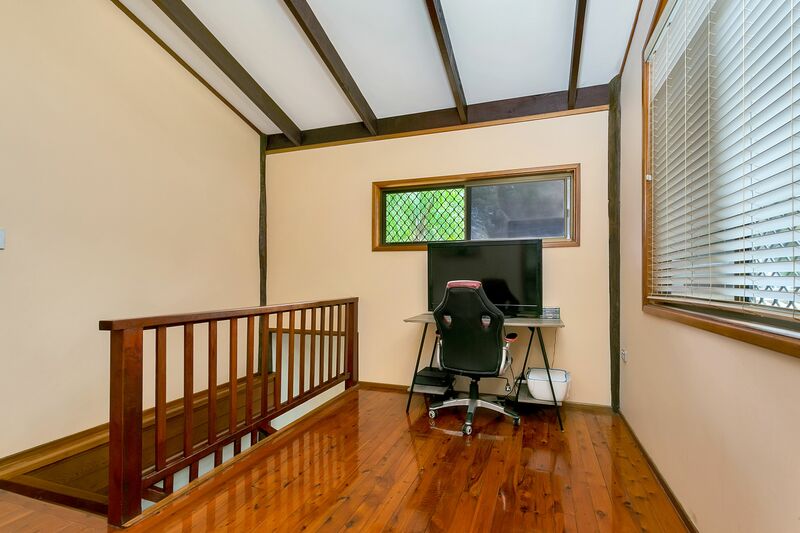 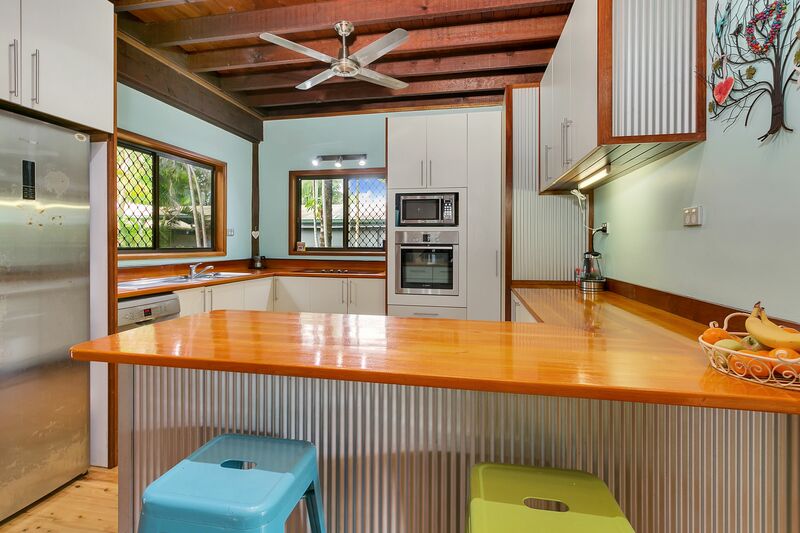 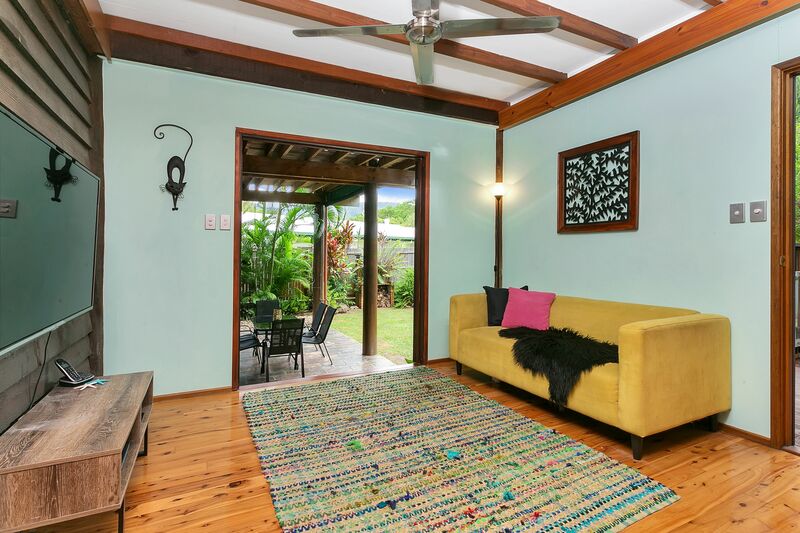 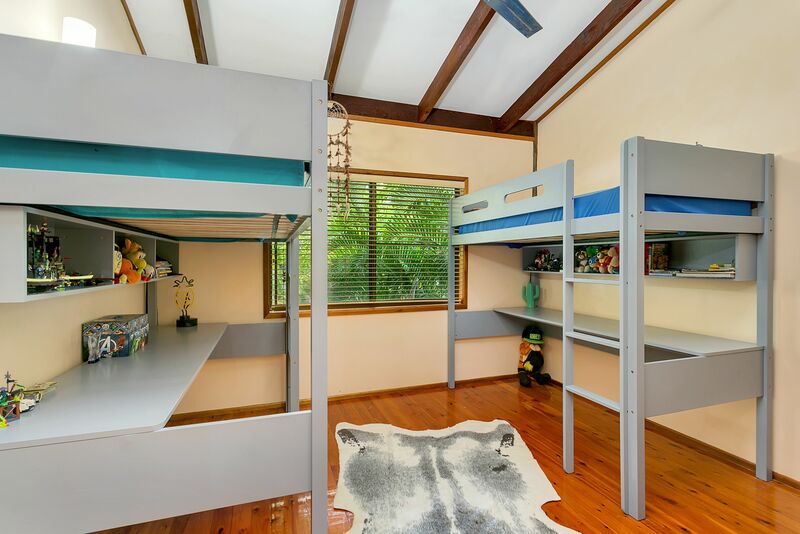 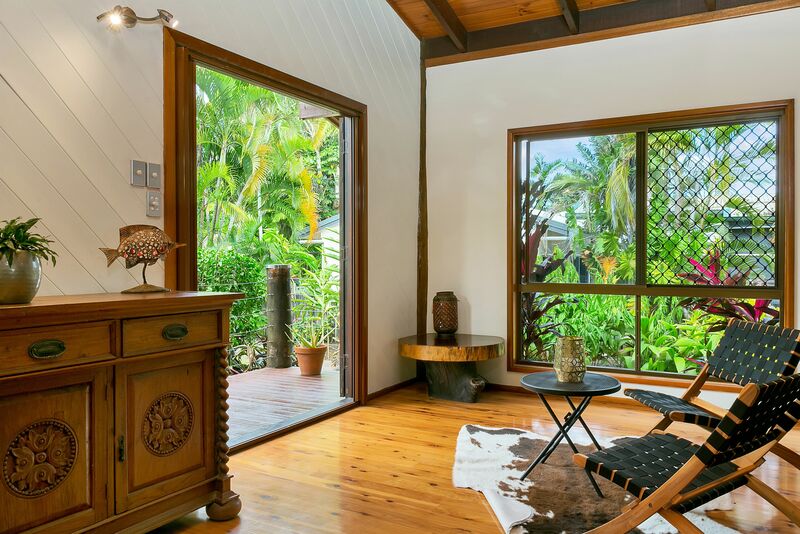 Only minutes walk from Kewarra beach this charming chalet design with polished timber floors through out, features French doors both front and back creating an amazing breezeway with high ceilings making a very comfortable and cosy living. 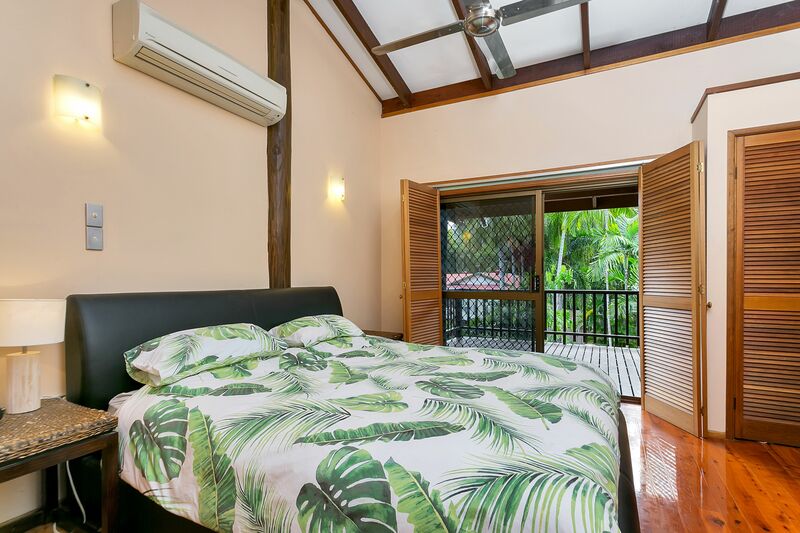 Upstairs you will discover three good size bedrooms and two bathrooms with the master hosting a private balcony from where you can view the very private,stunning, landscaped gardens and rock pool. 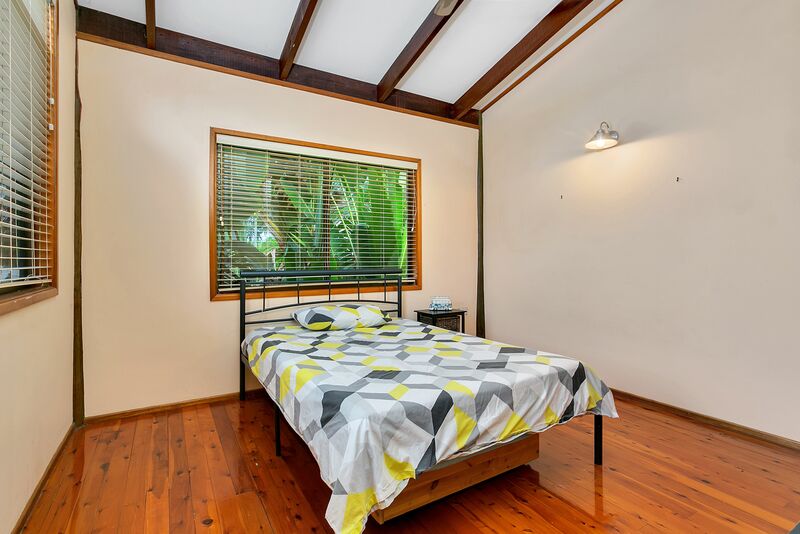 Downstairs is a huge utility room and Medis/4th room which could also be turned into another bedroom or guest room. 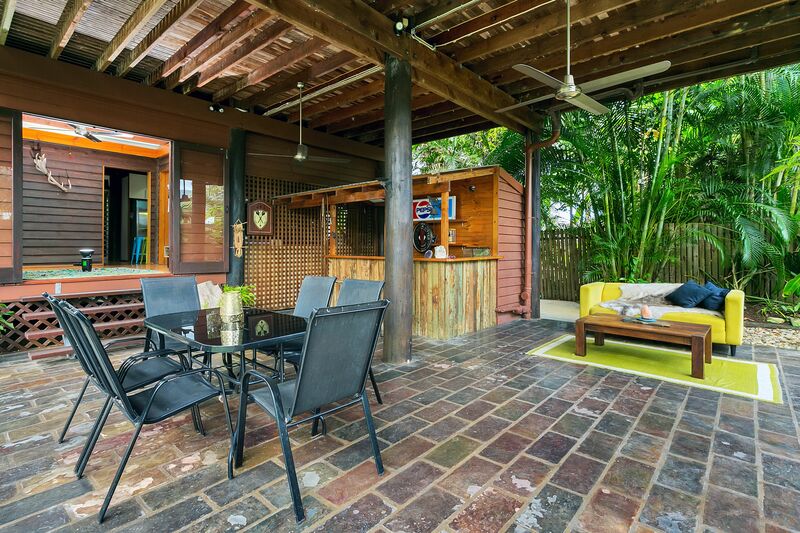 Through the French doors you will be impressed with the fabulous covered entertaining area where you can enjoy creating great memories whilst impressing friends with your cocktail making skills behind your very own bar. 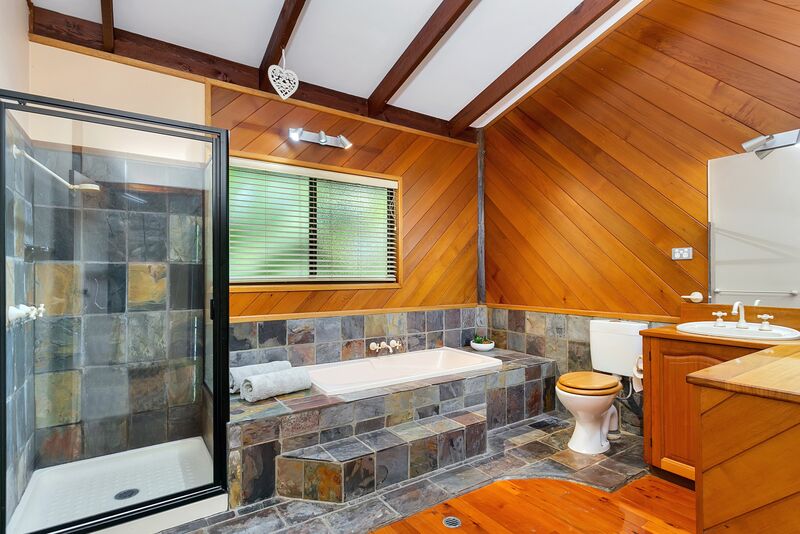 Appealing to those who can appreciate the quality craftsmanship of a property featuring a range of natural features on a 900sqm block in a sort after location - so near beautiful Kewarra Beach. 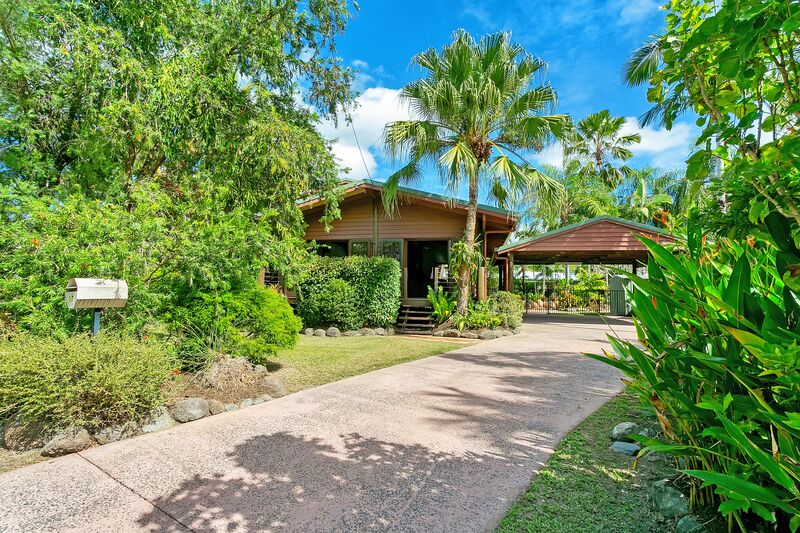 A great place to call home or an attractive investment for a holiday house which would attract a handsome income!